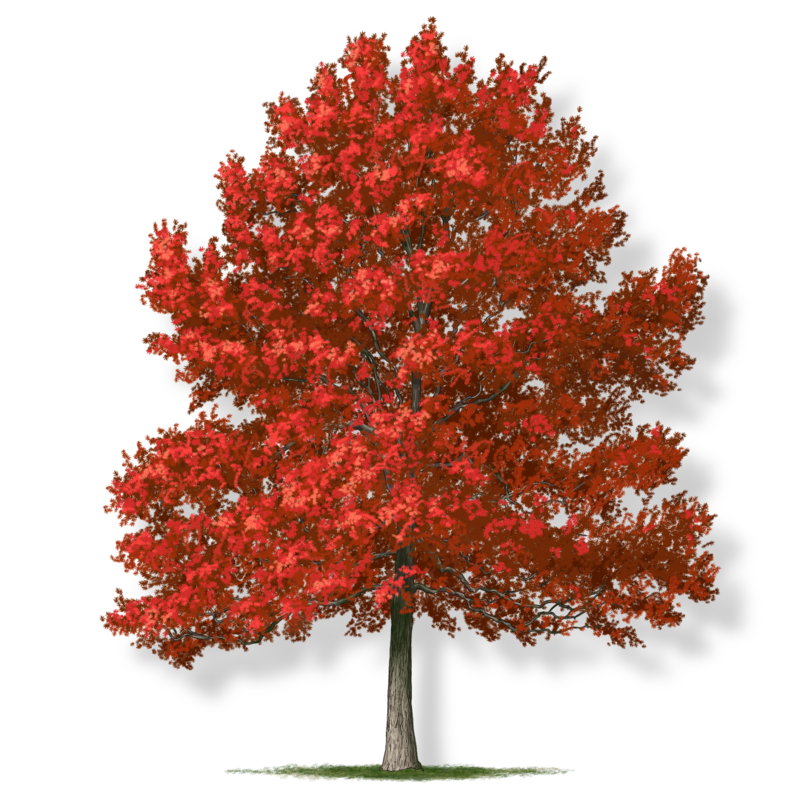 The scarlet oak is named for its excellent fall color. 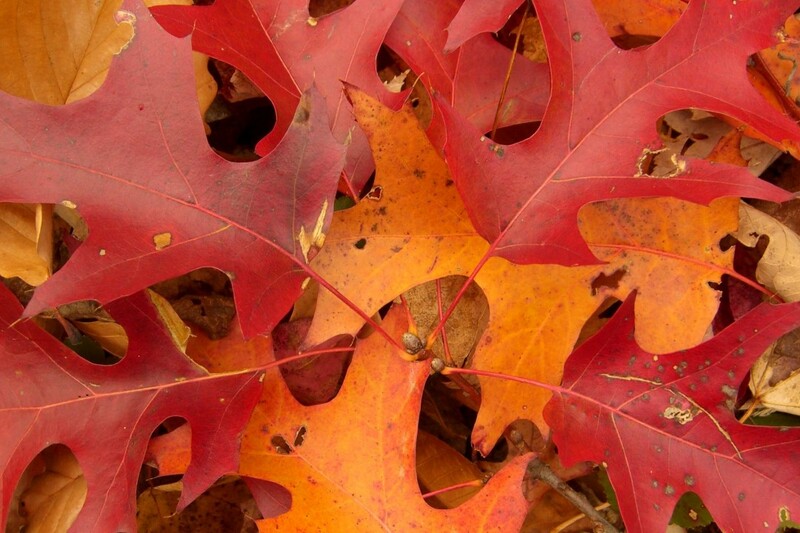 It is one of the last species to turn red in the fall. 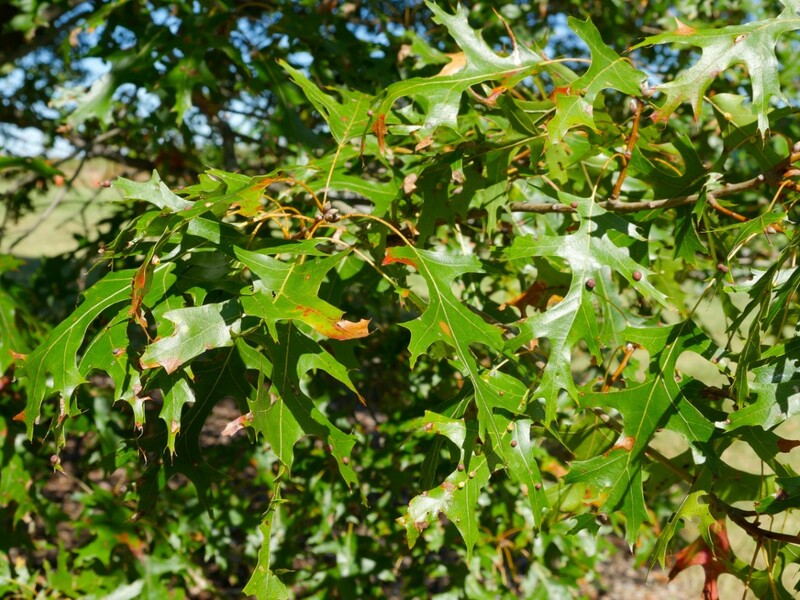 The leaves, particularly on young trees, remain on the tree through much of the winter making it great for screening. 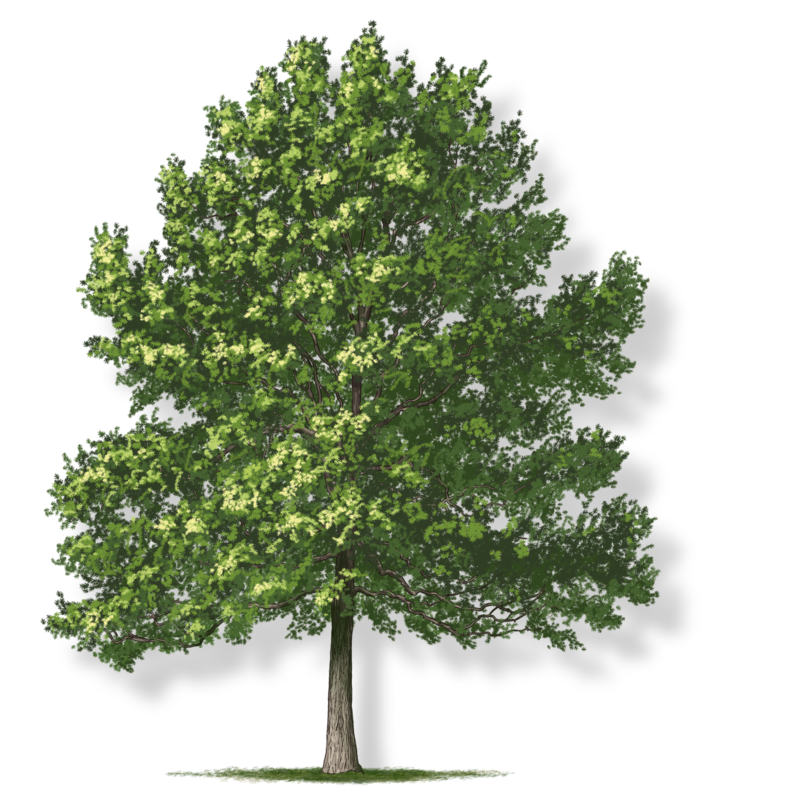 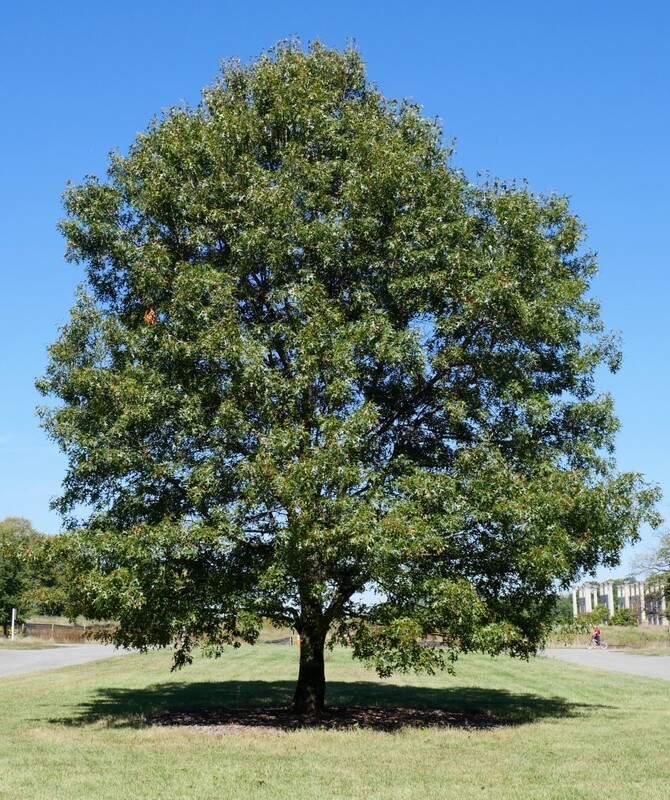 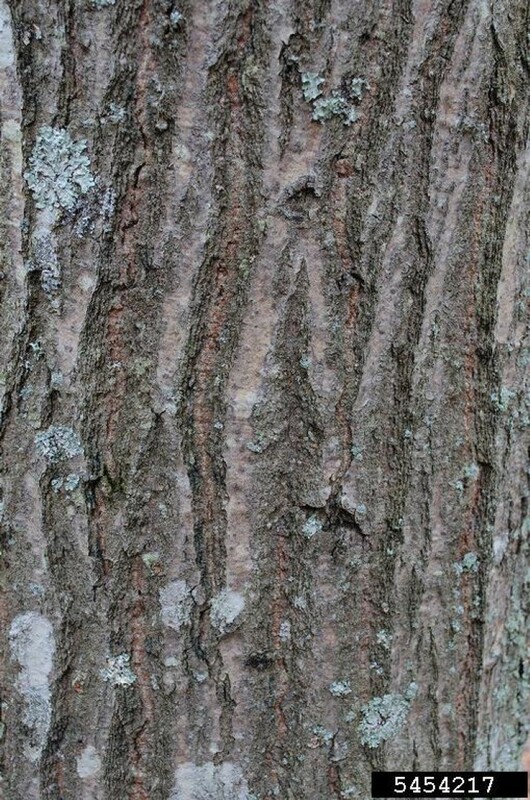 The scarlet oak is shaped like a pyramid when young and grows into a more open airy crown. 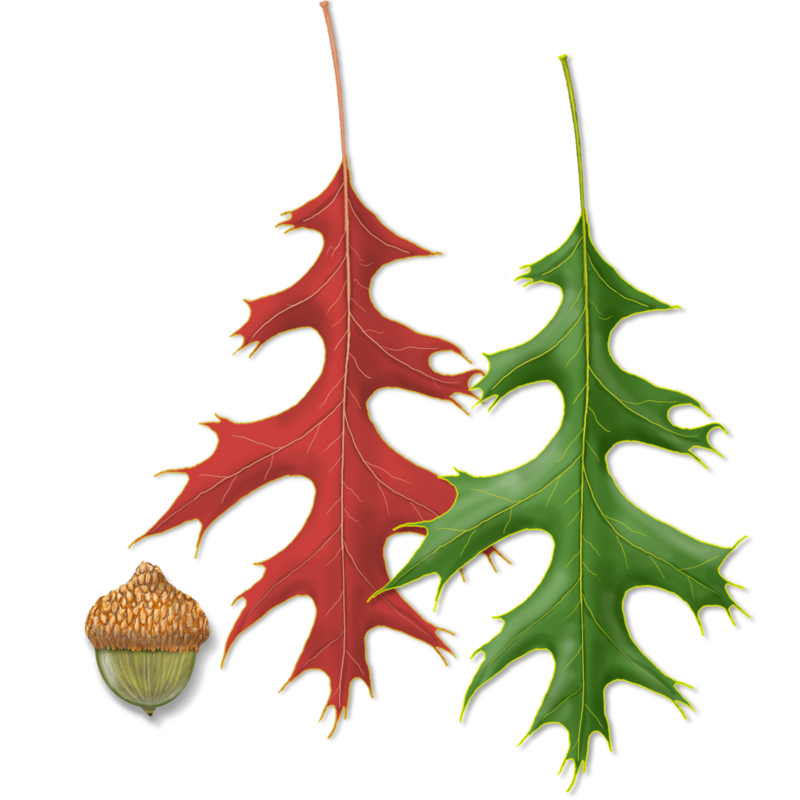 Its acorns are small with concentric rings around the tip.